Leo: 10 laps on the course is a backbreaker in any condition. 21 cat threes came to the line. I had water, a carrot, and a bunch of other food. Turns out I needed every bit of it. We started pretty mellow, Beto and I conversing about strategy on the first climb. 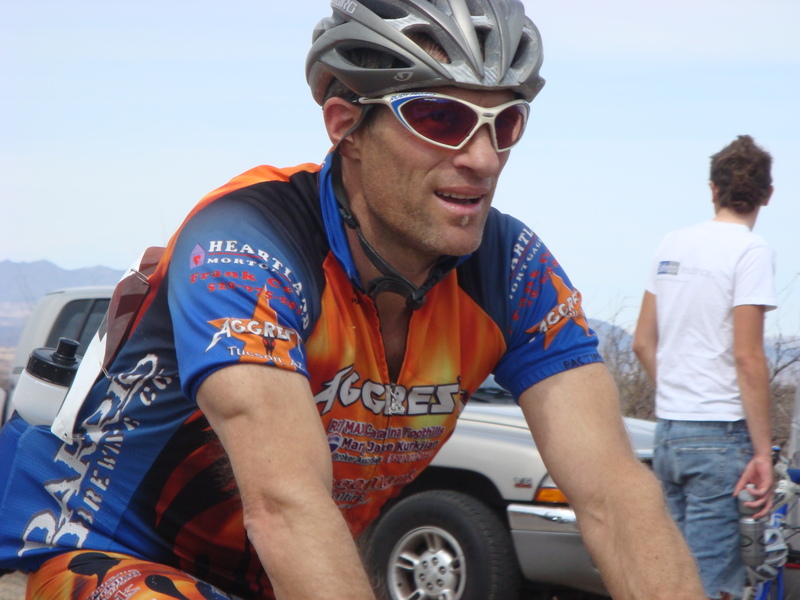 I was climbing really well in the group, watching guys do the funky slinky on and off the back lap after lap. I figured there would be a major attack on the fourth climb, which there was. It was two skinny kids from out of state and Darien doing most of the work. We kept reconvening at the top. The fifth climb was fine, and I took a bottle from Nippy. We got to the sixth climb, and I exploded in the feed zone unexpectedly. It was just over. I was in such pain, I considered abandoning, but I could not bring myself to do it after the 7th climb. 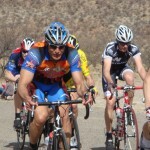 Poblanski clawed his way up to me at some point, and he dropped me on maybe the 7th climb. Next lap a Ride-clean guy caught me, having flatted the previous lap. He dropped me too. I was lapped twice by the pros, and got lapped by the winner from our field at the finish line. The 10th lap was not that bad. On the 9th I had pretty much locked up in both legs, but that went away with my carrot. 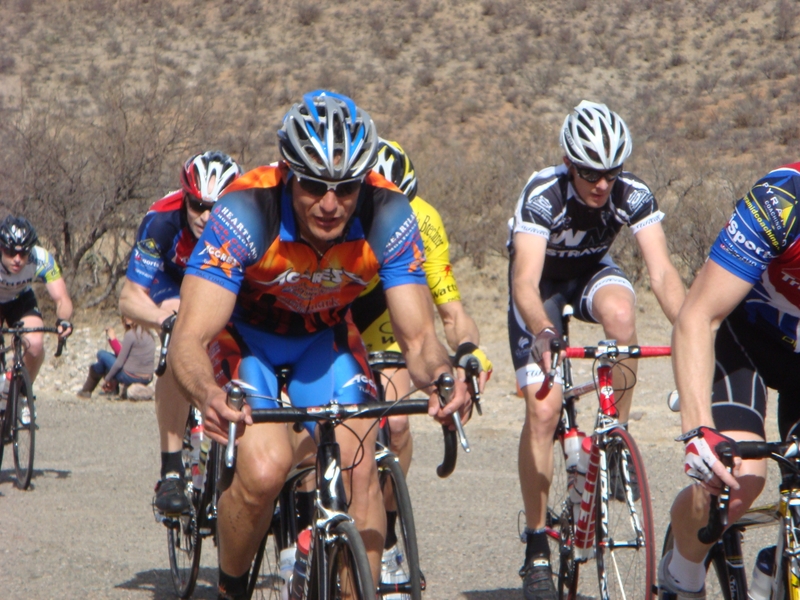 Beto: The Cat 3 race had a good turnout, with Darien Newman and a Strada racer leading the way. I had a little more motivation going into this years Tuma race. For the first time, I had a teammate at Tumacacori, and a young gun from my short-stint former team from Minnesota in the race. A 16-year-old junior who will be upgrading after this race and was this years CX national champ, plus all the hype from the Flanders camp in SV! 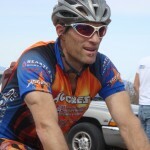 The race consisted of 60 miles, 4500+ feet vertical, and 80 degree climate, either you were going to bail or get torched. I am proud to report that no Aggressor on this day succumbed to the latter. For those of you who have done this race, it is well known that the pace leading into the steep climbs is what makes or breaks you. On this day the peloton stayed together until the 7th lap. Five riders prevailed in opening a gap at the top of the last climb. I was in the 7th spot and couldn’t make the break. I figured we had a better chance regrouping with the help of the chase group. A Landis rider and I did the bulk of the work at the front, with a pesky Team Coleen rider hooking the chasers for his teammate who was in the break (Flanders’ rider was also in the break!!). I made numerous attempts to organize the chase, but nobody was willing to work. At one point, I instructed the racers to get organized while I counter-blocked Newman’s teammate, still nobody was willing to cooperate.